The Al-khorayef Group in the Kingdom of Saudi Arabia is a major business group with diverse interests, one of which is the marine division with outlets throughout the Kingdom. The division holds several major marine distributorships such as Volvo Penta, OMC and Yamaha. mike derrett marine worked with the management of the division on a review of the company's operations with the objective of preparing a marketing plan. The project included qualitative market research into the buying pattern of marine engines, equipment and accessories in the Kingdom. As a result of the project the company was able to identify areas of future opportunity and restructure its organisation for maximum effectiveness. The British Marine Industries Federation is the trade body representing over 1,400 members of the British marine industry. The federation is proactive in developing export opportunities and in 1993 identified new boating markets for additional research. South East Asia was identified as a priority market and mike derrett marine was successful in winning the contract to carry out the research, which was jointly funded by the BMIF and a UK Government EMRS grant.The completed project identified the many different factors to be taken into account when entering the leisure boating market in this region and the associated report and database have been widely used by UK companies. The National Marine Manufacturers Association is the trade body for the American marine industry and in 1997 undertook a programme of initiatives aimed at increasing the awareness of American companies to overseas opportunities. As part of this programme mike derrett marine developed for the NMMA a comprehensive computer database of the marine industry throughout South East Asia, Hong Kong and the Philippines end has also produced market reports providing detailed background information relevant to US exporters. Swedish engine manufacturer Volvo Penta is one of the world's largest suppliers of marine inboard engines and the UK is one of their major European markets. mike derrett marine commissioned to carry out a study of the UK commercial boat building industry to establish the capability, production capacity and future demand for engines. 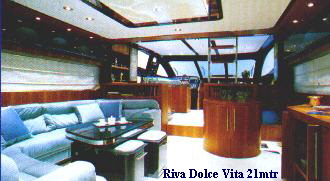 Riva is perhaps the most famous luxury boat manufacturer in the world and is a name that is synonymous with lifestyle yachting. 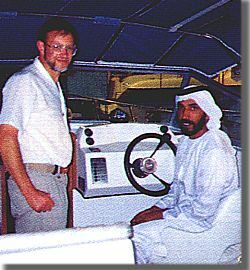 In 1994 mike derrett marine worked with the management on a complete review of the product range and marketing activities. More recent activities have included helping the company establish a world-wide distribution network. mike derrett marine was a listed consultancy for the Department of Trade and Industries Marketing Initiative scheme which was set up to provide top flight strategic marketing expertise to small and medium sized UK companies. Over a period of four years mike derrett marine carried out many varied projects for companies in the UK marine industry including leisure boat builders, military and commercial boat builders, equipment manufacturers and marina operators. The work carried out enabled the businesses to focus more clearly on existing markets and develop products and sales opportunities.